This weeks sees The Lab celebrate it’s seventh year of creating rings for you wonderful folks! At the time it seemed that starting a business from scratch, with no shop, no stock, no customers was a crazy idea, and yet from our first ever creation we’ve never looked back. It seems that there are a good many of you out there that are wanting something unique to you, something non “run of the mill” something non conformist, something handmade and special. We have made hundreds of items of jewellery for you all over these years, and all of them have their own unique story behind them, special occasions, themes, and just for the heck of it. It’s been a lot of fun designing and making all these pieces for you, and we hope it was fun for you as well. As you look at your own unique creation I hope you are also thinking…….yup nobody has one of these do they? So as we boldy enter year 8, what does the future hold for The Ring Lab? More wonderfully bespoke creations, more ingenious designs, more late nights? We hope so! 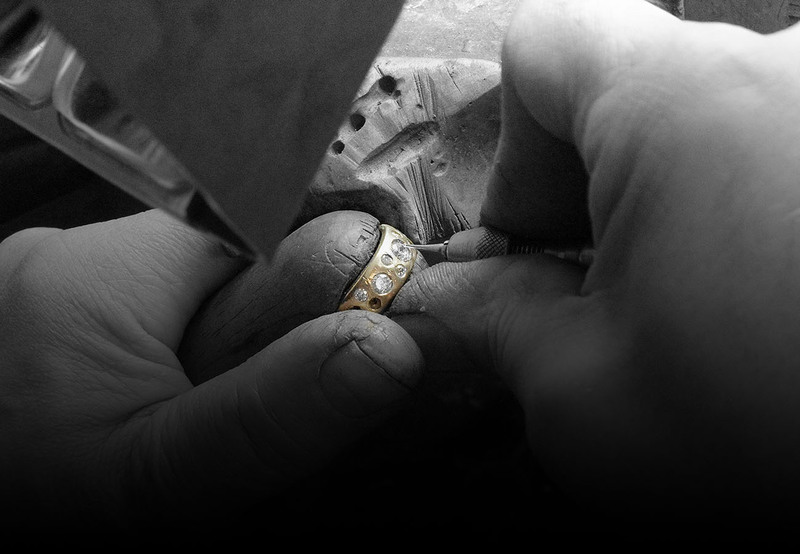 It’s what sets us apart from the rest, we truly believe we are able to offer you something truly different and being 100% independent we are able to be so and it’s with this mantra we look forward to hearing about your story to translate into a piece of handmade british uniqueness just for you.